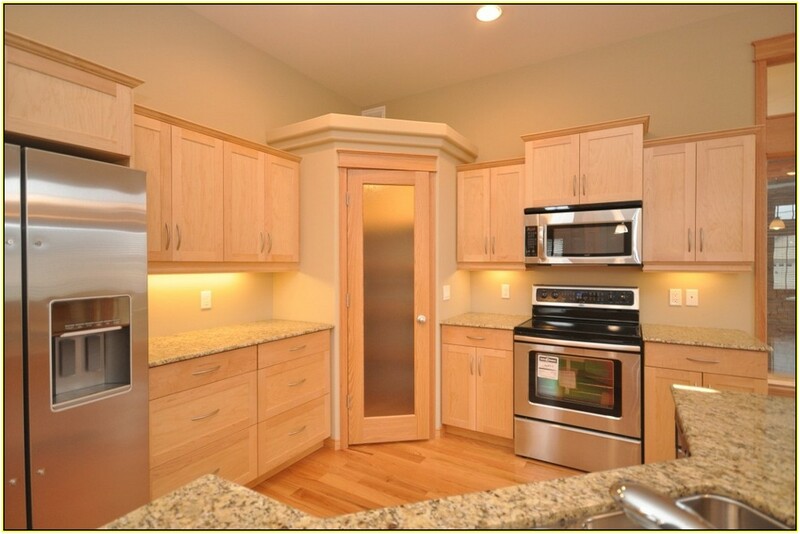 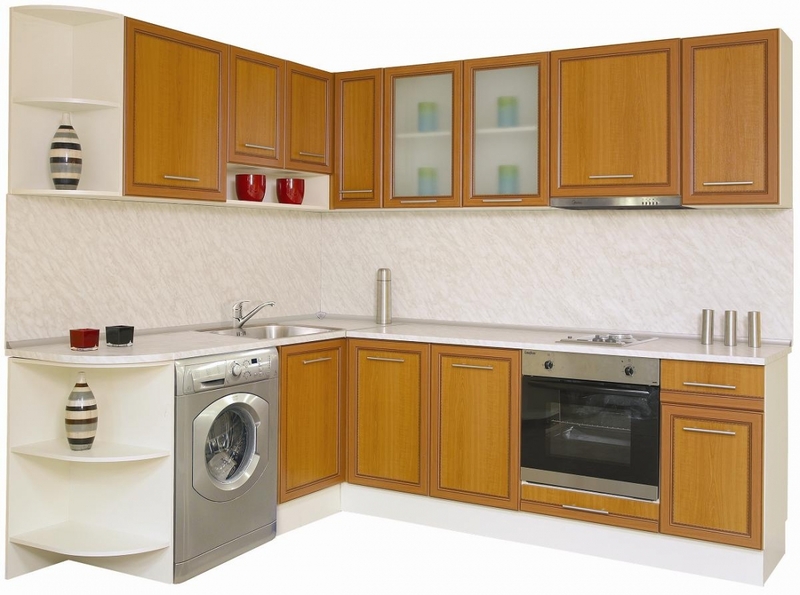 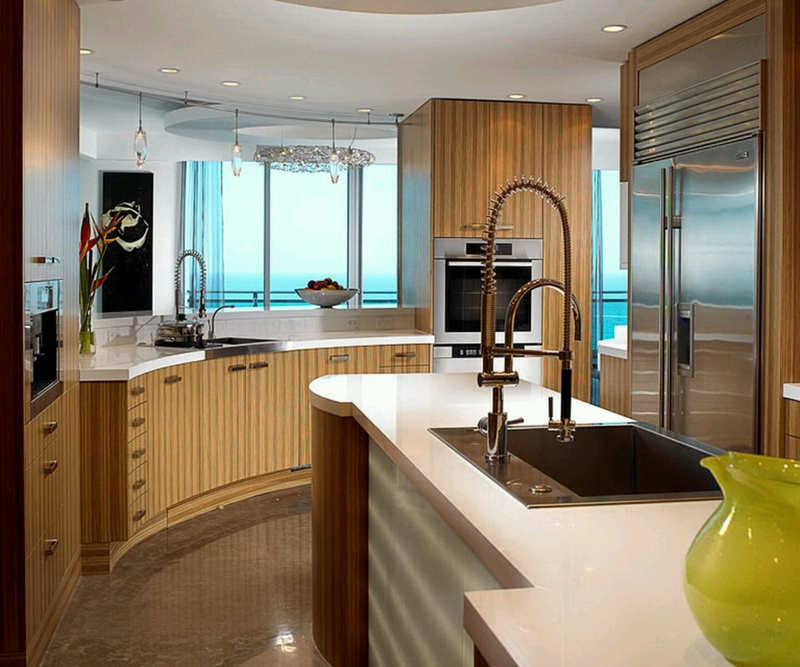 Today, we will share everything important about contemporary kitchen interior design style. 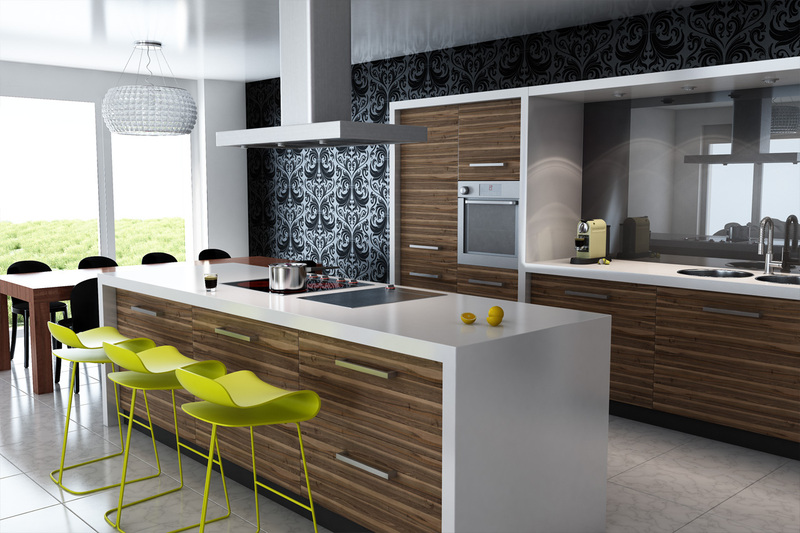 This style guide for your dreamy kitchen design in contemporary style will help you setting up the right look without sacrificing the functionality of the room. 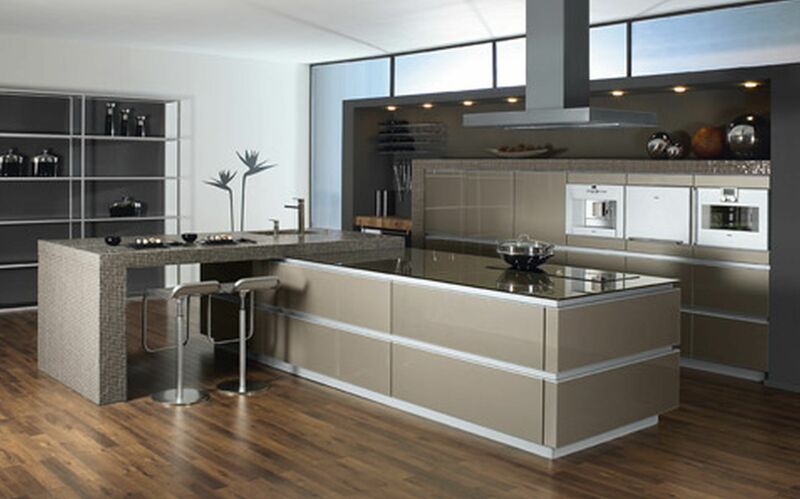 In contemporary kitchen design, the high functionality and streamlined surfaces are the focus. 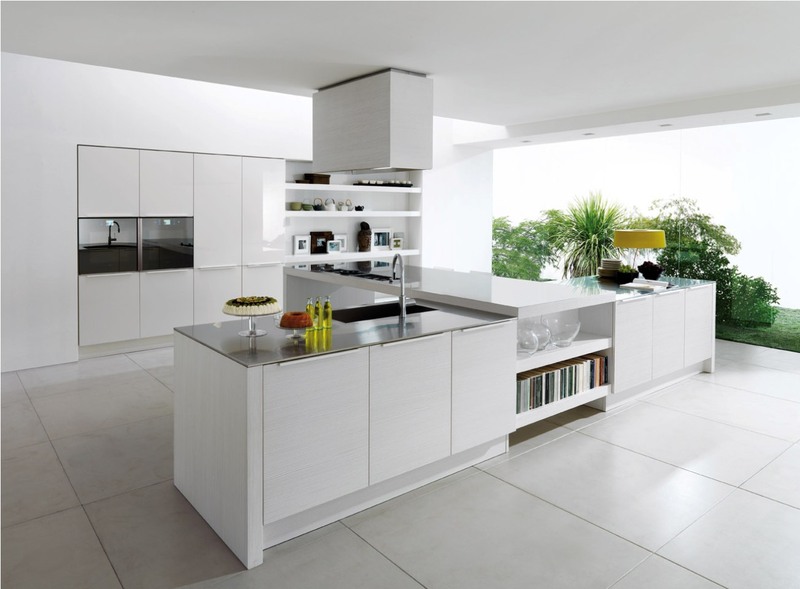 Even so, it is also common for contemporary design style to borrow traditional design ideas for sleek yet livable feel throughout the space. 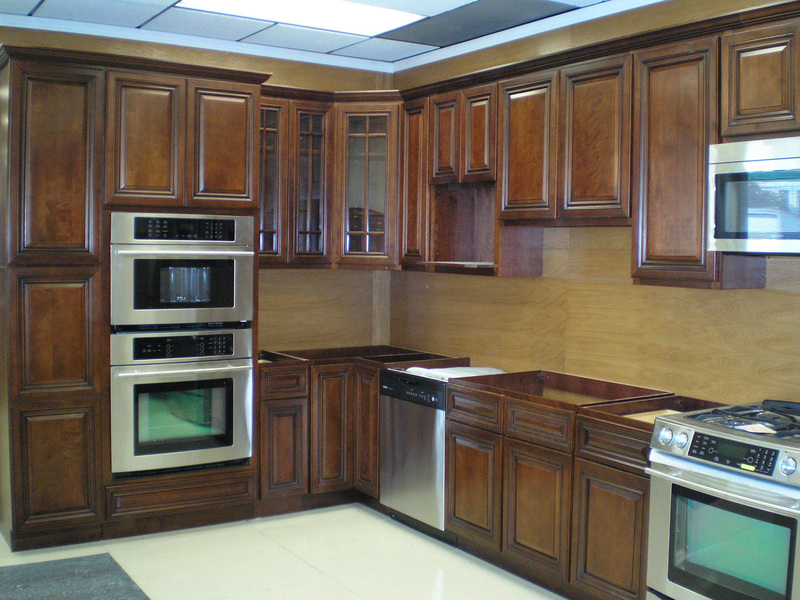 For example, you can paint your kitchen in white with clean lined kitchen cabinetry then add warmth and texture by installing dark hardwood floor or interesting backsplash tiles. 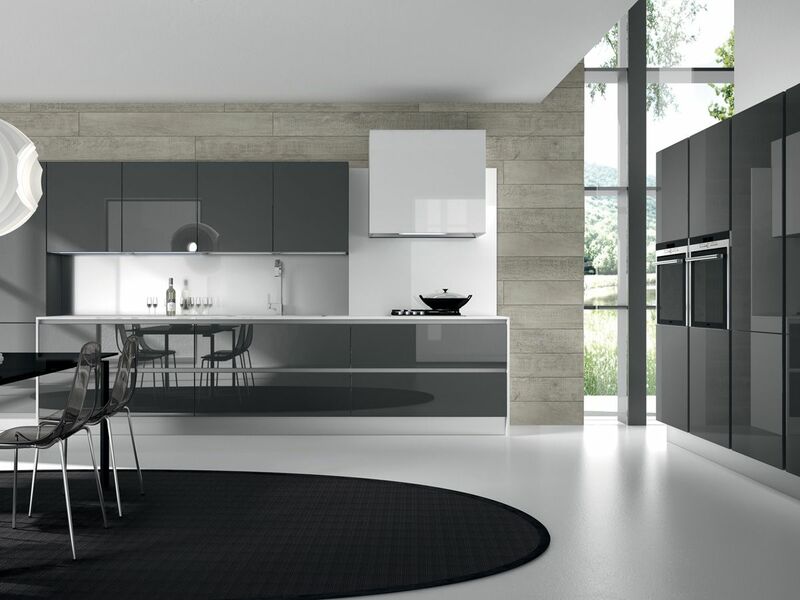 Unlike modern design style with a strict description of what can and cannot be included, contemporary can be simply translated into “what’s in nowadays”. 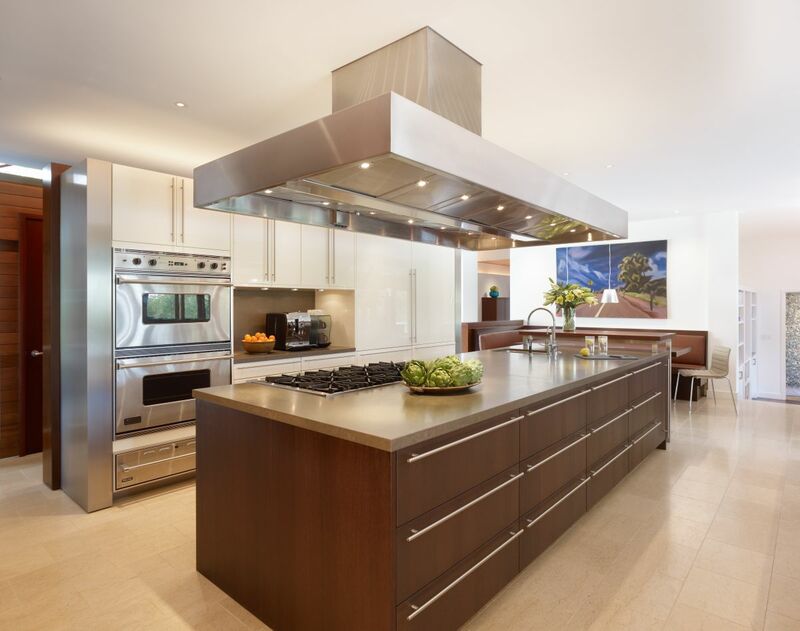 Mixing white and stainless steel appliances makes the simplest transition to a more contemporary look for your kitchen. 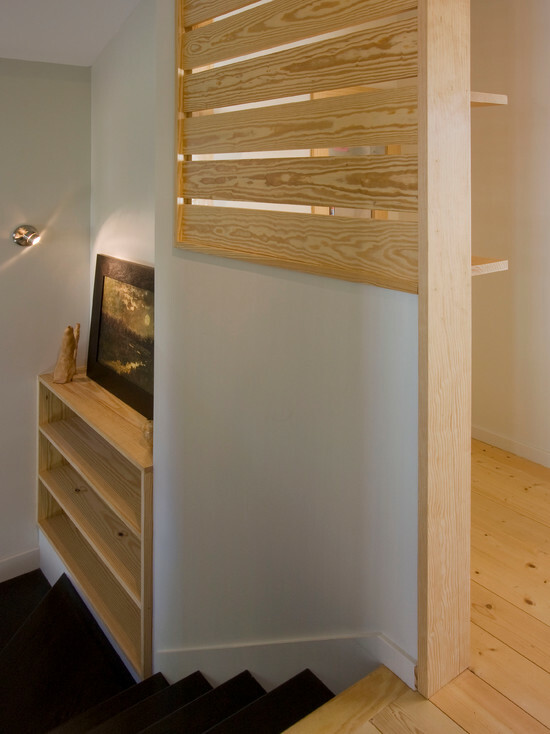 Both of them have the ability to balance so beautifully with warm wooden tones. 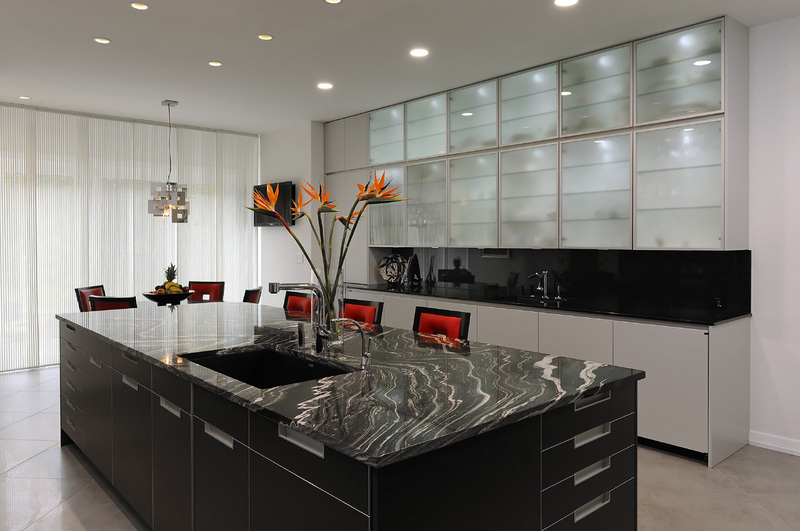 In current kitchen trend, homeowners tend to steer away from black or dark kitchen appliances. 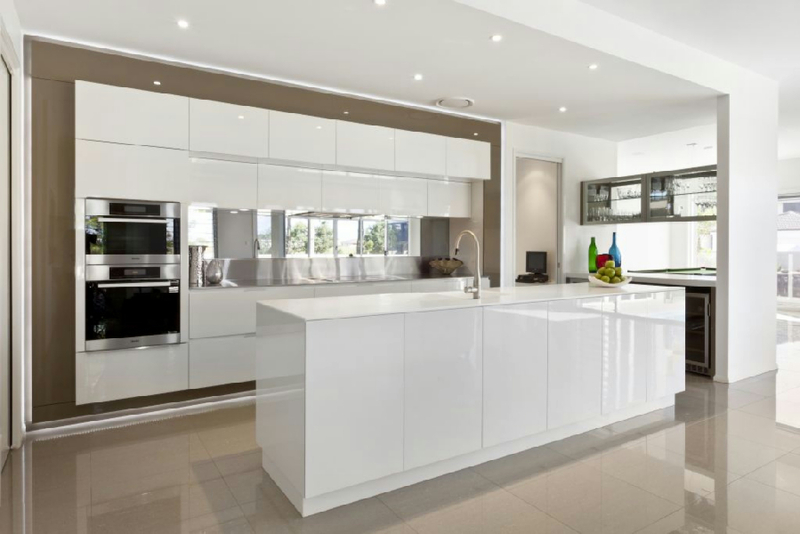 It is important to note that clutter is what can wreck the contemporary look in your kitchen, whether visually or physically. 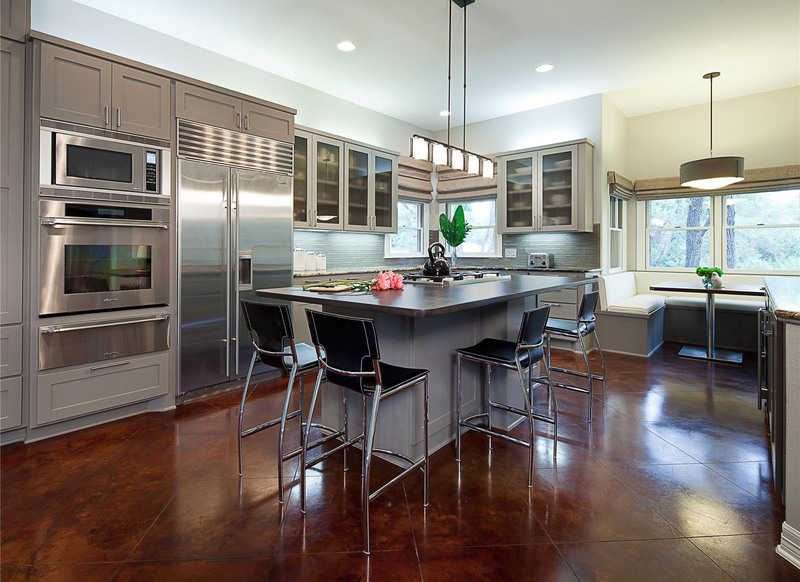 You can follow the 60-30-10 rule for kitchen colors: Sixty percent of kitchen interior ideally is one dominant color, 30% a secondary color, and 10% an accent color. 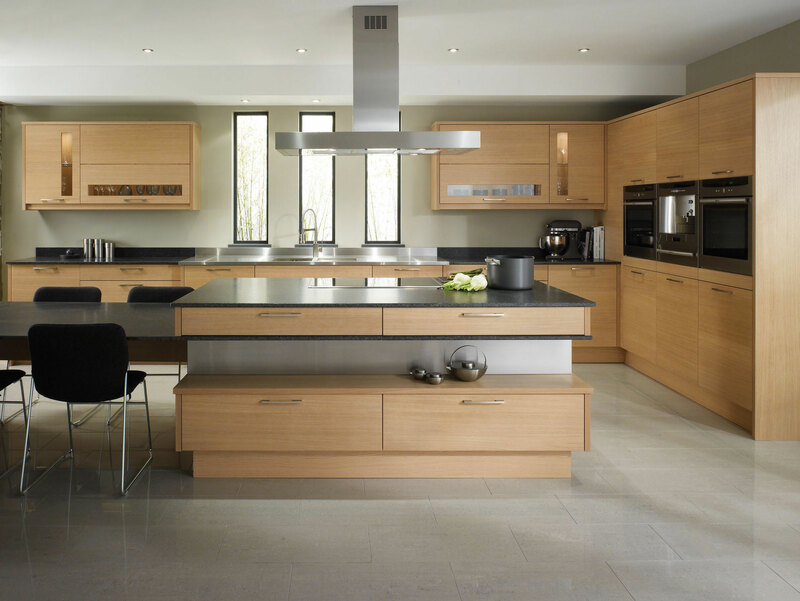 To get the right contemporary styles look in your kitchen interior, either small or major changes are likely possible. 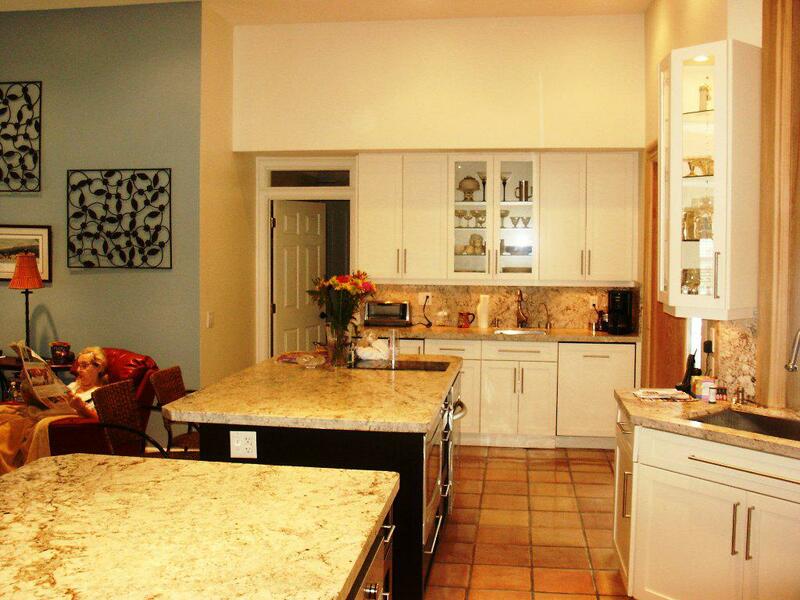 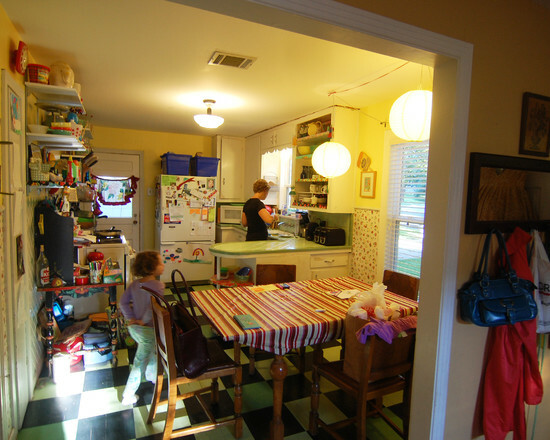 For example, install handmade tiles in unusual sizes for kitchen backsplash, such as penny tiles. 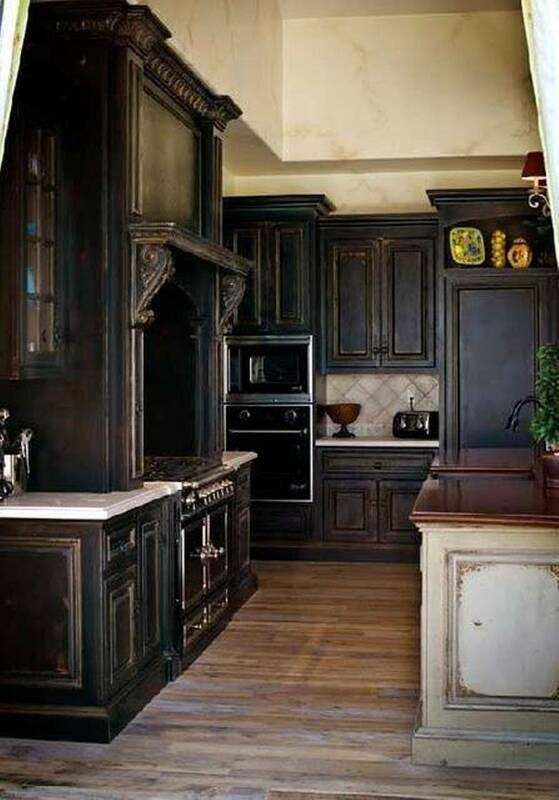 And don’t forget the kitchen paint. 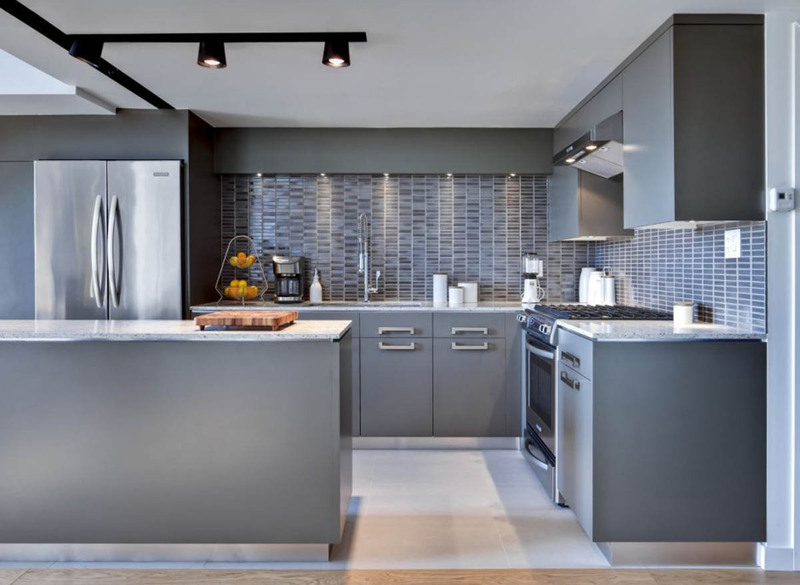 Choose a bold paint to transform any surface from drab to fab instantly. 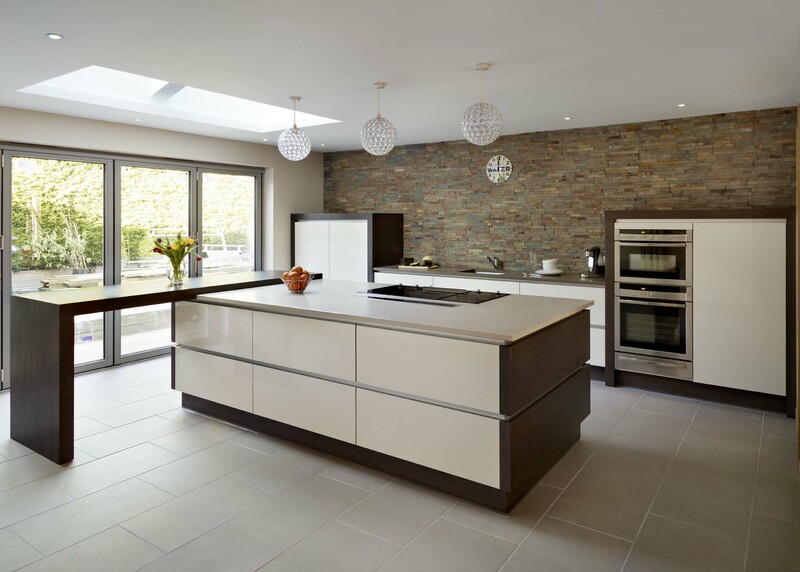 Last but not least, your contemporary kitchen design ideas shouldn’t forget about modern lighting to light the workspace, such as pendant lighting over kitchen island.